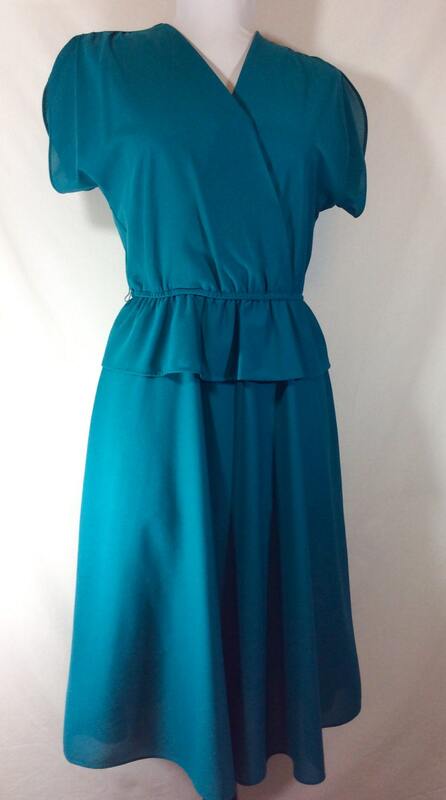 This beautiful vintage dress is feminine and timeless! It has been recently marked down from $32 to make room for new items in the shop! 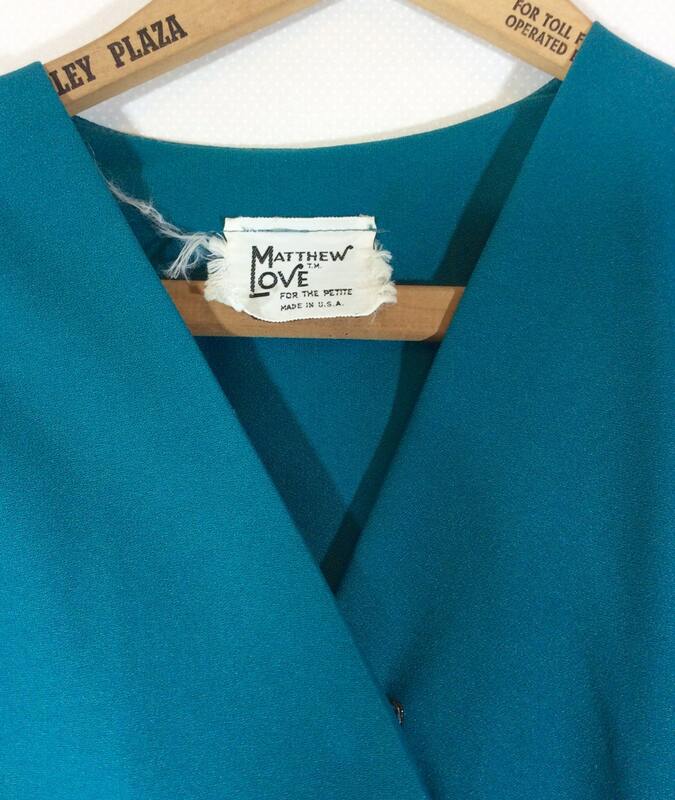 The dress was made in the USA by "Matthew Love for the petite". There is no size indicated, but it would best fit a modern size 6. (Please see measurements below for exact fit). 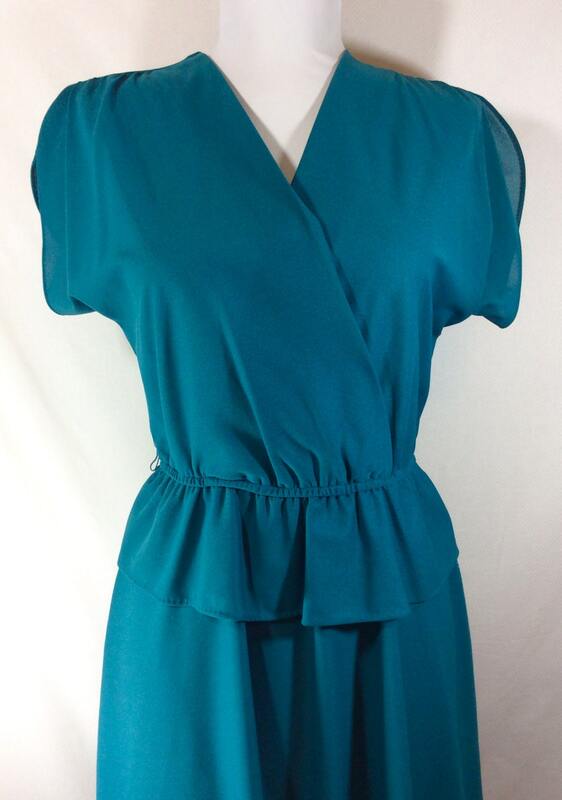 The dress is made from a slightly sheer, lightweight chiffon fabric. There are some great construction details that give this piece a lot of charm. There is rouching on the shoulder and butterfly sleeves. A snap at the bust keeps the neckline in place. There is elastic at the waist for a comfortable fit, and there are belt loops so you can accent the smallest part of your waist. The flirty peplum also helps to camouflage any problem tummy areas. 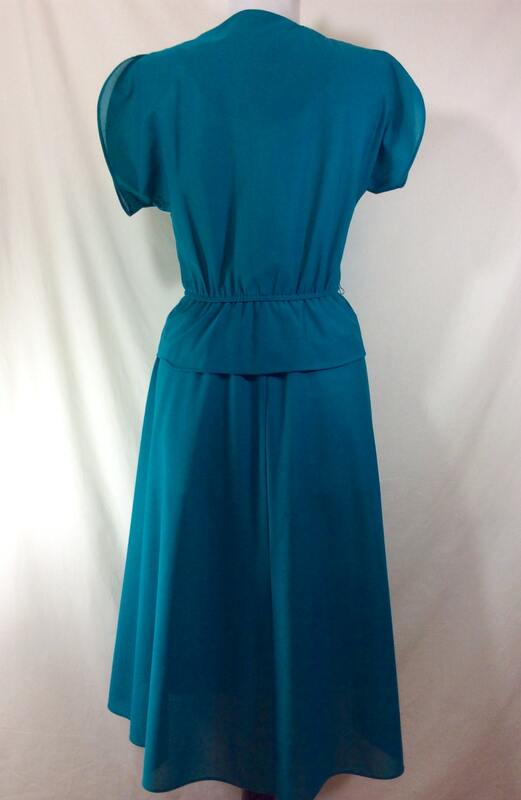 This item is in excellent vintage condition and would be perfect to wear to a wedding or cocktail party! Waist- stretches 13-15 inches across. 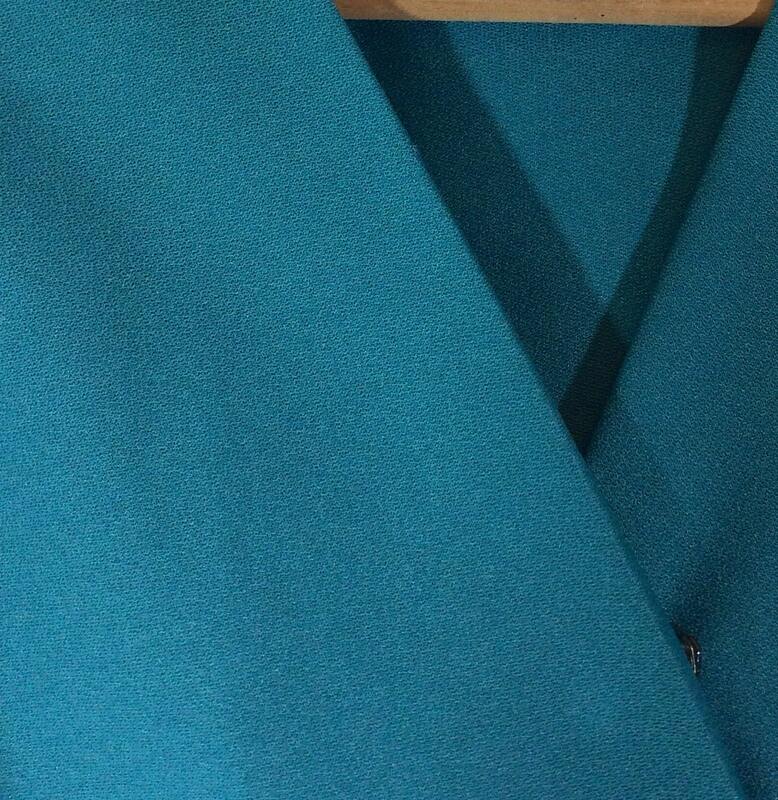 Length- 40 inches long from center back neck to hem.